Going to a Michael Jackson concert is no longer an option. But you can still get the T-shirt, if you're willing to skirt the lines of inappropriateness. Fans who haven't gotten enough of Michael in the weeks after his death can log onto michaeljacksonmerch.com and grab a snazzy T-shirt or button just like you would have splurged on at the concert venue. Jackson helped design the concert T-shirts and other show souvenirs, said Peter LoFrumento, a spokesman for the merchandising company, Bravado. "Michael was very adamant about not just doing T-shirts and posters and key chains," he said. "He wanted to do something special and make it really innovative and different, things that were functional and fun and that his fans would like." Among the items for sale: T-shirts commemorating the first and second nights of the concerts at London's O2 arena, belt buckles, caps, sunglasses and mugs. A varsity jacket modeled after the one Jackson wore in the "Thriller" video will also be available. 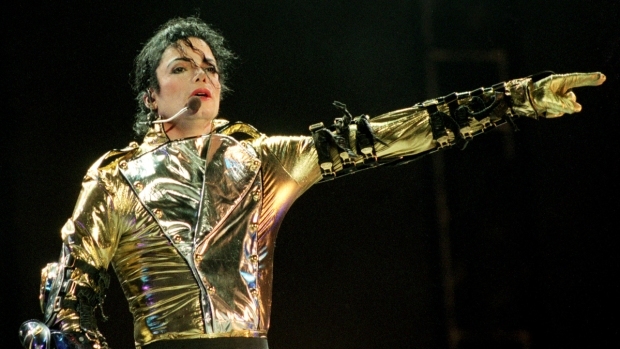 Jackson died June 25 in Los Angeles while preparing for the 50-date concert tour.